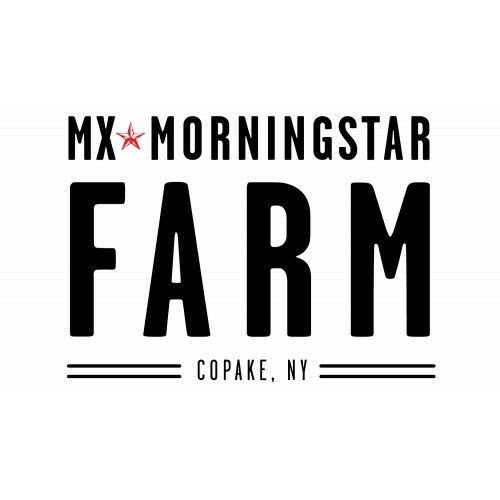 We are a 60 acre diversified vegetable farm, Certified Organic by NOFA-NY, operating in Copake, NY. We grow high quality vegetables for restaurants and wholesalers, specializing in fall root crops, winter squash, sweet potatoes, and potatoes. Products: Sweet potatoes, Russet potatoes, Fingerling potatoes, New potatoes, Cabbage, Purple Daikon, White Daikon, Green Daikon, Watermelon Radishes, Black radishes, Orange carrots, Rainbow carrots, Red beets, Gold beets, Chioggia beets, Broccoli, Radicchio, Escarole, Frisee, Dandelion, Melons, Cucumbers, Summer squash, Scallions, Butternut squash, Delicata squash, Sunshine Kabocha squash, Spaghetti squash, Butterkin squash, Acorn squash, Carnival squash, Georgia Candy Roaster squash, Honey Nut Squash, Purple Top turnips, Rutabaga, Gilfeather turnips, Goldball turnips, Hakurei turnips, Scarlet Queen turnips. Wholesale Information: We deliver locally (1hr radius from Copake, NY) 5 days a week, to Westchester on Thursdays. 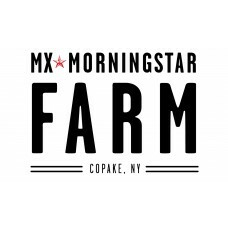 Please email max@mxmorningstarfarm.com to receive the price list.